Why does anthropology tend to focus on “exotic others"? Why this obsession with Africa? How come calls by well-known anthropologists such as Paul Rabinow to “anthropologize the West seemed to have not brought forth much fruit? How racist is American anthropology? 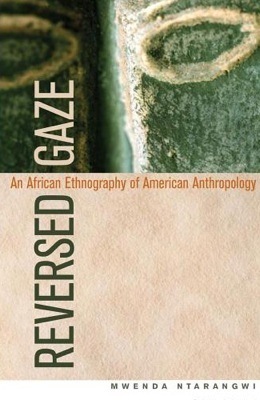 Kenyan anthropologist Mwenda Ntarangwi discusses those and other questions in his new book Reversed Gaze. An African Ethnography of American Anthropology. Yes, Ntarangwi has conducted an anthropological study of American anthropology! An important undertaking. He has studied textbooks, ethnographies, coursework, professional meetings, and feedback from colleagues and mentors. He “reverses the gaze", he stresses: Whereas Western anthropologists often study non-Western cultures, he studies “the Western culture of anthropology". He is especially interested in “the cultural and racial biases that shape anthropological study in general". This book is a personal journey into the heart of anthropology; representing my own pathways as an African student entering American higher education in the early 1990s that I knew very little about. It is a story about my initial entry into an American academic space very different from my own experience in Kenya, where we followed a British system of education. It is also a story hemmed within a specific discourse and views about anthropology that can be best represented by remarks from fellow graduate students who wondered what i was doing in a “racist” discipline. (…) Troubled by this label, I consciously embarked on a journey to find more about the discipline. He critiques dominant tenets of reflexivity, where issues of representation in his opinion are reduced to anthropologists’ writing style, methodological assumptions, and fieldwork locations. Inherent power differences that make it easier for anthropologists to study other people ("studying down") than to study themselves ("studying up") are rendered invisible. Ntarangwi seeks to contribute to the process of “liberating the discipline from the constraints of its colonial legacy and post- or neocolonial predicament". As long as the bulk of anthropological scholarship comes from Europe and North America and focuses on studying other cultures than their own, the power differentials attendant in anthropology today will endure. I have just starting to read and took among others a short look at the chapter about the annual meetings of the American Anthropological Association (AAA). Just as America has become an economic and political empire, American anthropology has consolidated a lot of power and in the process has peripheralized other anthropologies, forcing them either to respond to its whims and hegemony or to lose their international presence and appeal. The American Anthropological Association (AAA), I argue, is an important cultural phenomenon that begs for an ethnographic analysis. They were dressed casually, many were reading papers, and majority wore some exotic piece of jewelry or clothing that symbolized their field site - either a bracelet from Mexico (…), a necklace from a community in Africa, a tie-dyed shirt, or a multicolored scarf. His observations from the different sessions he attended remind me of my own impressions: “Conference papers were written to make the presenters sound more profound rather than to communicate ideas", he writes. 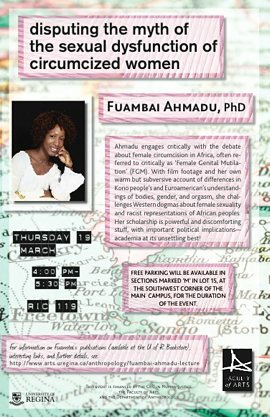 But there were interesting panels as well, among others about “marginalization and exclusion of certain scholars and scholarship on the basis of their race". There were, he writes, “discussions of how Haitian anthropologists challenged the notion of race but were never “knighted", as was Franz Boas, simply because they were Black". He also attended sessions where the speakers were using data collected ten or twenty years before and yet were speaking of the locals as if representing contemporary practices. I’ll write about it next time. I’ll take the book with me on my short trip to Portugal. I’m leaving tomorrow. You can read thw first pages of the books on Google Books. Check also Mwenda Ntarangwi’s website. 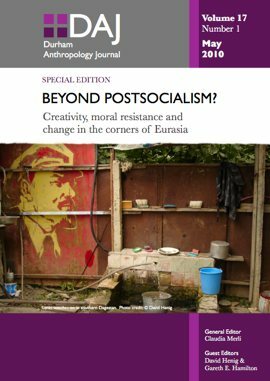 Durham Anthropology Journal: How "post-socialist" is Eastern Europe? “Beyond postsocialism? Creativity, moral resistance and change in the corners of Eurasia” is the title of the new issue of Durham Anthropology Journal. The authors want to give us alternative views on so called postsocialist societies. Postsocialist studies, David Henig explains in his editorial, have been dominated by Western perspectives (the East as the “Other") and also by discourses of capitalist “triumphalism” (from socialism or dictatorship to liberal democracy, from plan to market economy). The reality is different. Anthropologists have found important continuities between socialist and post-socialist eras. (B)oth socialist and liberal economists (…) have failed in taking into account the strength – and the reasons for this strength – of social institutions such as the family and the community, their customary law and the broad impact of communal and cooperative action.